Seek a free consultation with David Anber on on your driving offence. s. 130:Every person is guilty of the offence of driving carelessly who drives a vehicle or street car on a highway without due care and attention or without reasonable consideration for other persons using the highway and on conviction is liable to a fine of not less than $200 and not more than $1,000 or to imprisonment for a term of not more than six months, or to both, and in addition his or her licence or permit may be suspended for a period of not more than two years. In Ottawa, Toronto and Brockville, Careless Driving appears to be the default charge given in any accident. Ottawa careless driving tickets are frequently given out by members of the police force. This is the same for Careless Driving in Toronto and across Ontario. 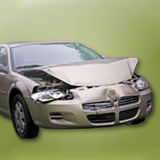 Ask us a question about your Careless Driving case now. What does Careless Driving Mean for me? First and foremost, what is usually most obvious is the $490 dollar fine on your ticket. Rest assurred it doesn’t stop there. 6 Demerit points are issued upon a conviction for careless driving. Worse yet, insurance companies seem to treat “driving without due care and attention or without consideration” as a major offence. This means that insurance rates and premiums are likely to increase dramatically with a conviction for this offence. A conviction for this charge is considered an admission of fault. Many paralegals and lawyers will attempt to reduce your charge from Careless Driving to another offence such as “Follow Too Close” (Following too close is usually given in rear end collisions), or “Fail to Drive in a Marked Lane” (for side impact accidents), or “Fail to Yield…” in T-bone and other perpendicular collisions. Whenever considering if this is a good deal, you must bear a few things in mind. First of all, the so-called “lesser charges” described above yield demerit points themselves – up to 4 points! Also, you will have to plead guilty to this included offence which also means an admission of fault. This could one day come back to haunt you in a civil proceeding or a future traffic ticket. Also, can you obtain that reduction on your own. David Anber does not want you to waste your money. In many cases, going to Court by yourself. Hiring a paralegal or lawyer to fight a Careless Driving Charge in Ottawa, in Toronto or anywhere in Ontario means that you should be taking a plea bargain only as a last resort. Your advocate will look at the evidence using experience and legal knowledge. Only then can it be properly advised to either proceed to a trial or take the lesser offence. Given what is at stake, spending a few hundred dollars on representation, may save you thousands of dollars in the future.